I have previously been disappointed by the lack of good Filipino restaurants in Singapore, so I was very happy to have finally tried out Bonifacio in Kreta Ayer Road around China Town. Finally tasted some note-worthy traditional Filipino dishes here in Singapore which remind me of home. 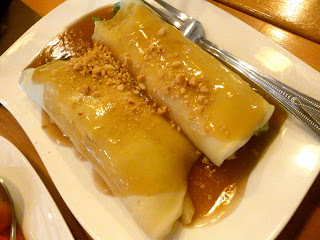 First up is the Fresh Lumpiang Hinirang (SGD 6.95). This is a crepe filled with bamboo shoots, carrots, and french beans topped with a peanut sauce. The vegetables were fresh and crispy, and I thought the sauce was reminiscent of how my grandmother used to make this dish. One thing I love and miss back home is Filipino barbecue. 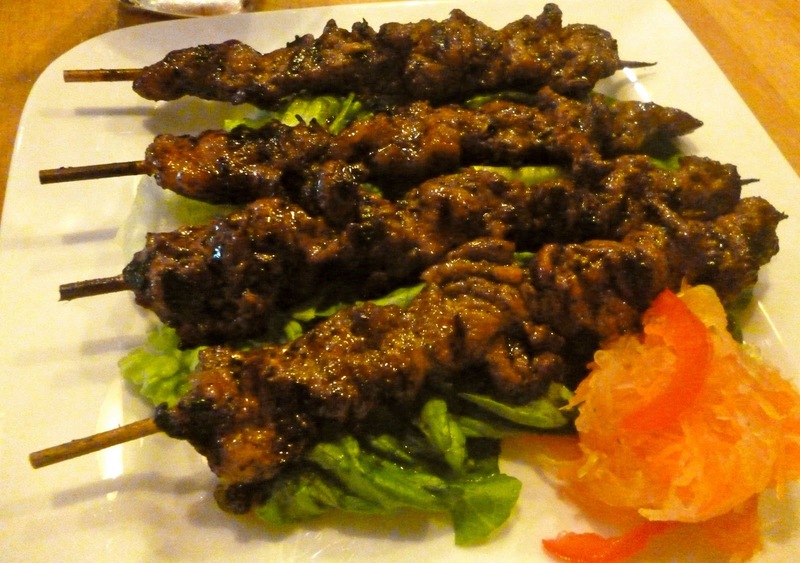 I know I am being biased, but I believe nothing comes close to Filipino barbecue. So I was very happy to have tried the Pork Barbecue (SGD 9.95) in Bonifacio which was really enjoyable. The pork actually tasted like steak! Though I would not consider the marinade completely traditional, the overall taste was spot on. 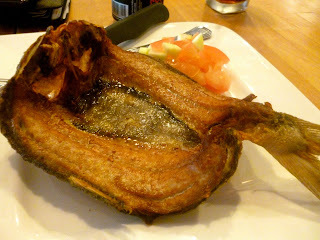 We also had the Daing na Bangus (SGD 26.95), a deep fried marinated milkfish. Milkfish is one of my absolute favorite fish, and I love how this dish stayed true to the Filipino traditional way of cooking it. The meat and fat were delectable, and the spicy vinegar sauce on the side really complemented this well. This was a bit pricey, but it's probably because this is not a commonly found fish in Singapore. I normally cannot leave a Filipino restaurant without trying their Pork Sisig (SGD 9.95). 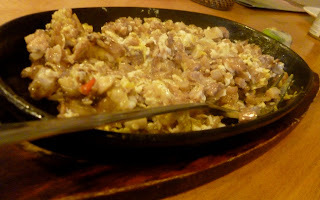 This is a very popular bar food back home which consists of sizzling fried pork bits. I was disappointed with Bonifacio's rendition of pork sisig, as the pork was overly soggy and lacked flavor. Overall I can say that Bonifacio is one of the better Filipino restaurants in Singapore. I enjoyed everything except the Sisig. Pricing is very decent, and I definitely see myself coming back to try out the rest of their menu.